Before you start on your skincare routine, it’s important to consider if you are using the most suitable cream for moisturizing your face? All skin types can experience problem skin sometime during their lifetime but to combat this you need a solid skincare routine. Moisturizing your face will keep it looking radiant and glowing throughout the day, even if you suffer from eczema, dermatitis, acne or any other problem skin conditions. Not all skin moisturizers are made the same, they certainly don’t contain the same ingredients, and some contain harsh ingredients so whether or not you suffer from problem skin you should absolutely without question avoid them at all costs. If your skin feels oily or your moisturizing cream feels heavy, you may be causing your skin more harm than good. A lightweight facial moisturizer would be advised. Moisturizing your face is not only an important part when taking care of your skin but keeping your body well hydrated is just as important. Your body is made up of 75% water, which helps maintain your body temperature, transport nutrients around your body, flush out toxins, helps with digestion and cushions and lubricates organs. For your blood to properly carry out its many important tasks, your body must be well hydrated. A low intake of water causes the properties of our blood to change and negatively affects virtually every aspect of our health, your skin is a biological system, and survives by carrying out a wide range of biochemical reactions. If there isn’t enough moisture then reagents aren’t dissolved and prevent the majority of these reactions from being carried out properly; which causes your skin to look dry and dull. Dehydration can also accelerate the aging process and dry skin is one of the biggest causes of wrinkles, so moisturizing your face will help combat these factors. Always drink at least 2 liters of water each day to keep you well hydrated and to keep your skin looking radiant. Now you can see why water is such an important part of your skincare routine. After you have finished cleansing your face with the appropriate cleanser for your skin type then you must immediately follow with a suitable moisturizer. If you leave it too long in moisturizing your face, the moisture can evaporate taking your skin’s natural moisture with it. An important point to remember is always choose a moisturizer that contains a sunscreen of SPF 15 or higher to protect your skin from sun damage. 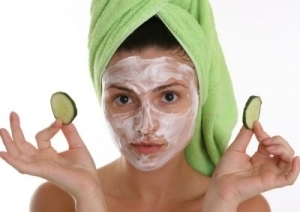 Spending time and care moisturizing your face will keep it hydrated and healthy for many years to come. If you have any skin care questions then head over to the ZENMED website where one of our team is on hand to help. Come over and ask us a question on our Live Chat system. Depending on what type of skin you have we have a wide range of moisturizer options! Our top sellers would be the Skin Support Serum and the Oil-Free Day Lotion. Here is a link to all the different options https://zenmed.com/skincare/moisturizers/. You can also call in at 1-888-749-4998 and a customer service representative would be more than happy to assist you in choose the right combination of products for yourself.